All Thai public transportation are now put under tightened security measures so that they could handle untoward incident efficiently. These included speeding up measures to raise transportation safety and security standards in the country. 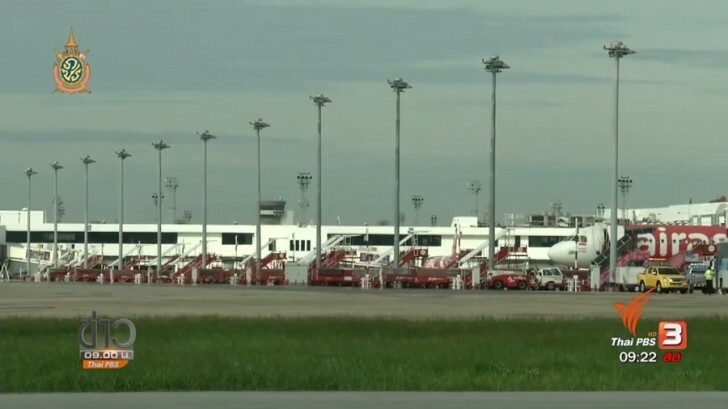 First among all the transportation sectors that will be receiving government attention are airports such as Don Mueang. 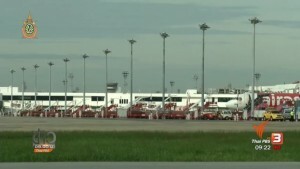 Yesterday a full emergency rehearsal was organised at Don Mueang airport. It was part of a regular annual drill. The drill featured the simulation of a bomb threat on a plane. All security personnel then applied all safety measures and protocols in accordance with those specified by the Civil Aviation Organization committee overseeing the restructuring of national aviation safety. Significantly, measures being applied adhere closely to recommendations from the International Civil Aviation Organization (ICAO). The head of Don Mueang airport Mr Petch Chancharoen said that recent bombings and shootings in an airport in Turkey has placed greater emphasis on raising security measures and standards at all the six airports in the country which the Airports of Thailand Plc looks after.